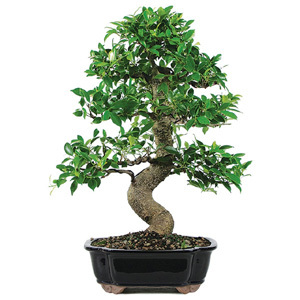 Bonsai Plants are basically known to bring peace, harmony and wealth. 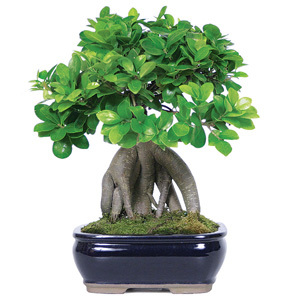 Bonsai Plants are also known as lucky plant. S Shape Ficus gives all the freshness and its look breaks the monotony of usual shaped plants and it goes well with any kind of décor. Called the“Pine of the Buddhists”, these tropical confiners give away a feel of purity in its best form. 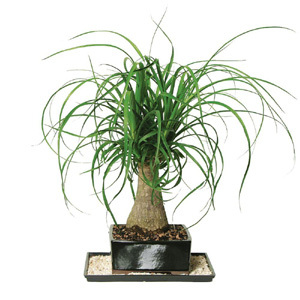 this plant grows slow but is evergreen and has a look of authentic status of class. its thick wood and simple flattened leaves proves it to have a live. Originating from Europe, boxes (Buxus) are densely branched scrubs often used in hedges. Most boxes are hardy and meant to grow outdoors, although some species can be grown indoors. 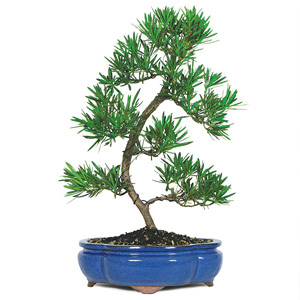 The box is popular for Bonsai purposes as it has small leaves. This plant’s unique feature is its swollen bulbous base trunk and the leaves which looks like water flowing from a fountain altogether gives it a tropic tree feel. Painting in motion. 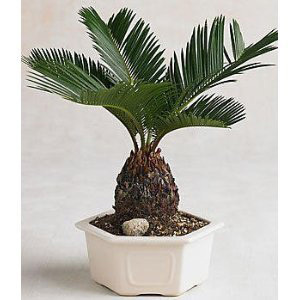 Lollina Palm bonsai plant will always give you a feel of holidays and also can be a reminder of your trips that you had. It is the type genus and the only genus recognised in the family Cycadaceae. Cycas Palmancient plants dominated the terrain during the Mesozoic era. The indestructibility and durability is a tale in itself. it is also considered as the living fossil, basically a caricature of history. Banyan Tree is our national tree also known as vat vriksha. This tree is considered sacred in India. our country believes that it is the residing place of lord Krishna. All our grounds of holiness are in this Banyan Tree this is an epitome of our virtues and values. The Money Tree is also called the “Good Luck Tree” and is an age-old token of good luck and an invitation to good fortune. It is the most popular plant for "Feng Shui" because it creates positive energy ("Chi" or "Qi"). There are over 600 species of Ficus, most of them tropical and evergreen. Ficus produces a unique "fruit" which is actually an inverted flower. 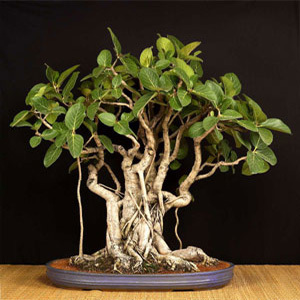 Ficus is one of the most loved bonsai for many reasons. It is an excellent tree for beginners. © 2017 Green India. All Rights Reserved.